Skill Development in India is one area that is in need everywhere. Whether it is Lawyers, Judges, Police Officers, Parliament of India, Bureaucrats, etc all of them need Skill Development Training at one stage or other. However, with the busy schedule and limited reach of Skill Development Initiatives in India, Online Skill Development in India is emerging as a viable solution. Both Legal and Judicial System of India must be well versed with the Technology Laws of India. One such Technology Law of India is Cyber Law of India. Naturally, Cyber Law Skill Development in India is fast emerging as a preferable choice among the Lawyers and Judges of India. Another pressing requirement for the Judicial System of India is the establishment of E-Courts in India. Till the end of April 2011, we are still waiting for the establishment of First E-Courts of India. The E-Court Project of India has not been able to materialise in India so far. A major reason for the failure of E-Courts Project of India is that India lacks Techno Legal Expertise and Skills to implement this ambitious project. For instance, we have a Single Exclusive E-Courts Training and Consultancy Centre in India. The same is managed by Perry4Law Techno Legal Base (PTLB), the leading Techno Legal Segment of Exclusive Techno Legal ICT Law Firm of India Perry4Law. PTLB is also managing the Exclusive Techno Legal Skill Development Platform of India that provides Techno Legal Trainings and Skill Development in various fields. 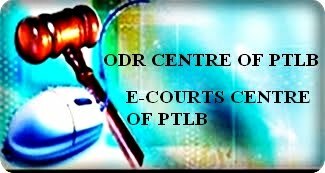 PTLB is also providing E-Courts Skill Development in India so that E-Courts can be managed in a proper and timely manner. For all those who wish to have partnership or collaboration with PTLB, they can contact us with their detailed proposals covering the terms and conditions in details. This entry was posted in Uncategorized on April 29, 2011 by PTLB. Cyber Law of India is incorporated in the Indian Information Technology Act, 2000 (IT Act 2000). It has been amended through the Information Technology Amendment Act, 2008 (IT Act, 2008). With this amendment, Cyber Law of India has become more onerous and complicated. Stakeholders like Police, Lawyers, Judges, Corporate Executives, etc must be well aware of the Cyber Law of India. They require good and qualitative Cyber law Training and Skill Development in India. At Perry4Law and Perry4Law Techno Legal Base (PTLB) we ensure world class Techno Legal Trainings and Cyber Law Skill Development. Besides, Skill Development for other Technology Laws is also taken care of by Perry4Law and PTLB. Perry4Law and PTLB are also in the process of writing the first and exclusive techno legal Cyber Crime Investigation Manual of India. The manual is in the final phase of preparation and it may be available to Governmental Departments and General Public after few months. The Manual is a “Must Have Guide” for Law Enforcement Agencies, Intelligence Agencies, Government Departments, Home Ministry of India, etc. In short, it would greatly help in enhancing the Cyber Crime Investigation Capabilities in India. Cyber Due Diligence in India also requires good knowledge of Cyber Law of India. There are many Due Diligence Requirements under the Cyber Law of India that various stakeholders have to comply. Another area that requires Cyber Law Skill Development is the requirement for Cyber Due Diligence for Banks in India. In fact, to ensure proper cyber security of banking transactions and to comply with the IT Act 2000 cyber due diligence requirements, all banks now would have to create a position of Chief Information Officers (CIOs) as well as Steering Committees on Information Security at the board level at the earliest. This is the recent direction of Reserve Bank of India (RBI) that all banks must comply with. At PTLB we provided Cyber Law Trainings to prospective CIOs and Steering Committee Members. The best part is that PTLB is the exclusive Techno Legal Online Skill Development Initiative of India and world wide. In short, the Cyber Law Skill Development in India is a major career area that must be taken seriously. Application form for the enrollment to various Skill Development Courses, Internships and Trainings of PTLB can be downloaded from here and more details about the courses of PTLB can be found here. For all those who wish to have partnership or collaboration with PTLB, they can contact us with their detailed proposals covering the terms and conditions in details. Skill development in India is a major policy decision these days. India has realised the importance of a skilled and well trained workforce and this has inspired it to shift its stand from mere academic education to vocational and professional education in India. Now more emphasis has been given to technical education and skill development in India. India is also facing a challenge of keeping the maximum population within the reach of its skill development programmes. This cannot be achieved until online education and e-learning is used in India. However, there are very few qualitative online skill development institutions in India. We at Perry4Law and Perry4Law Techno Legal Base (PTLB) are providing exclusive Online Techno Legal Skill Development in India in fields like Cyber Law, Cyber Security, Cyber Forensics, Digital Evidencing, E-Discovery, Techno Legal LPO and KPO, E-Courts, E-Governance, Electronic Services Delivery, National E-Governance Plan (NEGP), Lawyers and Judges Training, ODR, etc. Through world class online tutorials and trainings, good and qualitative techno legal skill development education is provided to every corner of India and world wide. These skill development courses, trainings and education are available to police officers, lawyers, judges, corporate executives, professionals, etc. There is no need to even leave the premises where the individual is working or residing. Everything can be done in an online environment. Application form for the enrollment to various courses, internships and trainings of PTLB can be downloaded from here and more details about the courses of PTLB can be found here. This entry was posted in Uncategorized on April 28, 2011 by PTLB. India has one of the largest populations of young people. A dominant majority of these young people are unemployed and outside the stream of economic development of India. Another cause of concern is the poor quality of education system of India. Due to the faulty educational system of India most of the professional graduates cannot be absorbed into jobs of big companies and industrial houses. Skill Development in India, is therefore, need of the hour. Further, Technical Education and Skill Development in India are also directly related. Although we have many educational and technical education institutions in India yet they are unable to produce qualitative manpower. At the end of the academic session, these professional graduates find themselves nowhere. Here comes the importance of Skill Development Initiatives that India must undertake immediately. Online Education and E-Learning can play a major role in providing qualitative and multi disciplinary education and training to even the remotest areas of India. At Perry4Law and Perry4Law Techno Legal Base (PTLB) we provide a good combination of technical and legal Trainings, Coaching, Research and Education. In fact, PTLB is the exclusive Online Techno Legal Skill Development Initiative of India. Its Online Platform is providing diverse range of Techno Legal Education, Training, Research and Coaching in fields like Cyber Law, Cyber Security, Cyber Forensics, Digital Evidencing, E-Discovery, E-Courts, E-Governance, Police Trainings, Lawyers Trainings, Judges Trainings, etc. 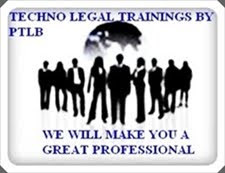 In short, at PTLB we provide the Best Online Techno Legal Skill Development Trainings. Skill development is a highly specialised field and it requires domain specific expertise. This is the reason why it is best done through a Public Private Partnership (PPP) Model. PTLB is looking forward for Partners, Associates, Collaborators, Consortiums, etc in this regard. Interested Persons, Institutions or Organisations may contact us with their proposals in this regard with clear terms and conditions.